An effort like this cannot be the work of one person. We take great pleasure in presenting the members of the team behind Mana Ghantasala. They all deserve a round of applause and hearty congratulations for the effort they put in! Sreenadh Jonnavithula is the webmaster of Mana Ghantasala. A Mechanical Engineer by profession, his day job involves Computational Fluid Dynamics. Building websites is a (pretty serious) hobby. He lives in Long Island, New York (USA) with his wife and six year old son. "I have been a great fan of Ghantasala all my life, and working on this site is finally allowing me to repay some of the debt for the immense pleasure he has given me all this time. The support and encouragement of all the other fans is so encouraging, and I am glad I got started on this project!" 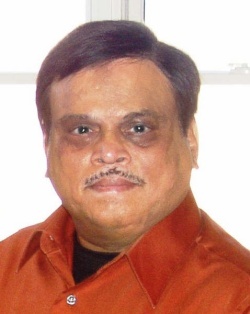 Born in 1959, I am a Science graduate from Sri Konaseema Bhanoji Ramars College, Amalapuram. Right now working as Divisional Engineer (Mobile Services), Bharat Sanchar Nigam Limited., Hyderabad. My father Sri. Nukala Mahadevanarayana known as a teacher to many people of Konaseema was an orthodox fan of Ghantasala. Perhaps that must have left some remnants in me along with the love and affection showered by my father. I have started the digitization of audio songs of great and eternal voice of Ghantasala some where in 2005 and could complete the process of more than 2500 songs from different languages within a period of 8 months working approximately 14 hours a day. My sincere thanks to Dr. K.V. Rao, Hyderabad, Sri. N.S. 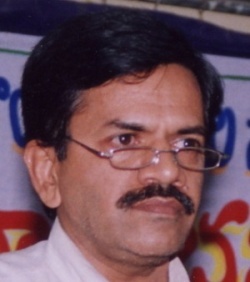 Krishna Murty, Secunderabad, Sri. D.S. Sankar, Vakkalanka, Sri. Panchakarla Ramesh, Hyderabad for their invaluable support and help in compiling the project. And finally the inestimable support given by my wife Rama Devi, my two daughters Lakshmi Madhavi, and Swathi is worth mentioning here. Mechanical Engineer by Degree from Kakinada Engineering College, Aerospace Engineer and Program Integrator by profession at U.S. Defense Contract Management Agency. All seven siblings of my Devaraju Family, breath Ghantasala gArU! We cannot feel the world and life without associating ourselves with that "MOOD" expressed in Master gArU's songs. Since 1971, I have been heavily involved with Telugu People and Associations in USA. I breath Telugu too! Telugu Sangeetam and Saahityam are my two eyes. Also written, produced, enacted and directed many telugu dramas. Not a single day has gone by in my life, without listening to Ghantasala gAru. I hope you are all enjoying the telugu fonts of the lyrics that I am transliterating weekly. As always, without the Heavenly Blessings from my Parents Sri DVS Narayana Murty and Smt. Ranganayakamma and the whole hearted support given by my beautiful & compassionate wife Gayatri, daughters Sougandhi and Geeta, I could not have done what ever I have done thus far in my life. Panini is a longtime fan of Ghantasala, and has been the main contributor to building the Ghantasala database. Sreenivas's knowledge of Ghantasala's music is encyclopaedic, and we are fortunate to have his support. He has supplied several of the lyrics to the songs on this site. 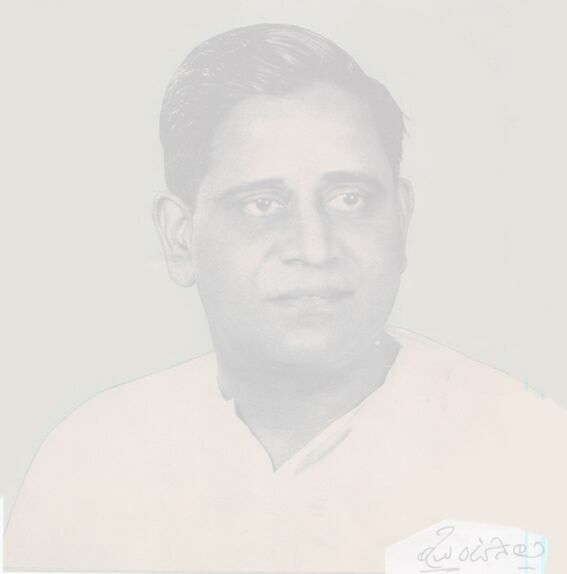 K.V.Rao lives in Hyderabad, and is a close personal friend of the Ghantasala family and a longtime fan. He has contributed the quiz questions currently on the site, plus a lot of audio, text and photographic material which will soon be published. Another old website on Ghantasala was maintained by Krishna. He has kindly donated the contents to us, and it appears as the section on the Bhagawad Gita. He has also contributed several lyrics, which will be published shortly. 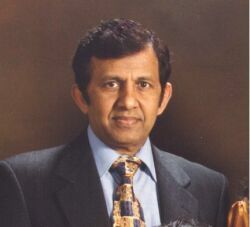 Appa Rao Nagabhyru is a Primary care physician practicing in Plymouth, England. He is a 'devotee' of Ghantasala, started singing his songs since college days. He is a family friend of Ghantasala met the greate master once. He formed 'UK Ghantasala association' with six others, mainly to support Sri Ghantasala Sangeeta Samsmarana Kalapeetham established in Machilipatnam in AP.He ha a large collection of Ghantasala's songs and articles. Originally a resident of Hyderabad, I am currently a student of Master of Science in Biomedical Engineering at the Louisiana Tech University, U.S.A. My hobbies make a big list [:-)] , basically because I don't take up anything very seriously! [:-(] I write songs (looking forward to jump into Tollywood soon :)!) and poetry in Telugu, draw pictures occasionally, sing frequently (but it's good to hear only rarely! ), snap good (at least I feel they're good) photographs, especially of Mother Nature (for which I get scoldings from my family that I waste film in trying to replicate commercially available greeting cards), read books (mostly Telugu), browse the Internet, etc. Of course, I study and do some research too [:-)] , at least because I plan to start my Ph.D. soon! I also write articles to a few websites including the ReformIndia, TeluguCinema, and Kaburlu. In music, I like anything melodious, but I prefer to listen to Carnatic music or old Telugu film music. That's how I started liking Sree Ghantasala's voice. I have been hearing to the golden voice for at least 20 years now, thanks to my parents for inculcating such good taste to me and my brother. It's a great opportunity for me to be a part of the project of building this website. I wish this shall be a one-stop website for Ghantasala, though I also wish the great singer is commemorated through various sites on the cyberspace. I was not even born when Sree Ghantasala passed away, but it was a pleasure to be able to see at least his family members. (I proudly possess Sree Ghantasala's son's signature in the guestbook of my personal website.) My humble homage to the great singer of India, and my kudos to all those highly knowledgeable persons behind this project. 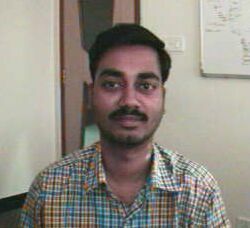 I am a Communications Software Engineer by profession and I live in Hyderabad, India. My hobbies include listening to Music(Telugu Old Songs, Carnatic and Hindustani), reading books and touring. I started pursuing these only a few years back and so I am still a novice. I am a fan of Ghantasala. I have to do lot more to be called a "great" fan. I am really amazed by the fact that this project is done very professionally and very enthusiastically. I am also surprised by the depth of knowledge some members possess. Above all, I like the humbleness of this group, I am glad that I got to know them and meet some. 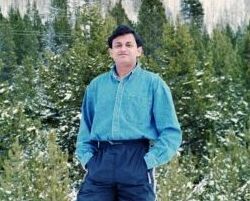 Ramam is a Ghantasala fan from Dallas, TX, USA. 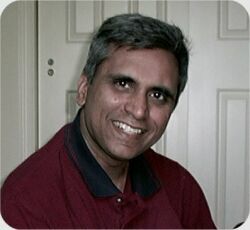 Ramam hosts a radio program (with Padma Devaraju as the co-host, Saturday mornings at 9:00am CST). He has contributed the songs from the New York concert.